Stunning handmade fusion glass wall clock. 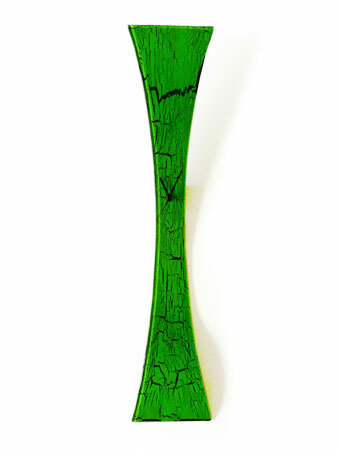 Designed in a very eye catching glass in green with black crackels.The clock is made in an eye catching and very contemporary flared design getting wider at the top and bottom - take into account the curving design then wow - what a great work of wall art you have there in the form of a clock!! Width is a chunky 18cm and length is a very long 91cm!!! 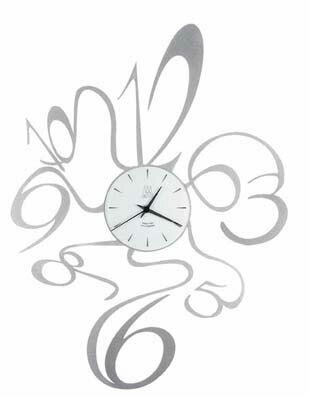 This clock is handmade and to a high design quality, sure to draw comments from everyone who sees it!